Working on a pipeline can be a dangerous job if you don’t take the proper precautions and obtain the necessary equipment to operate safely. 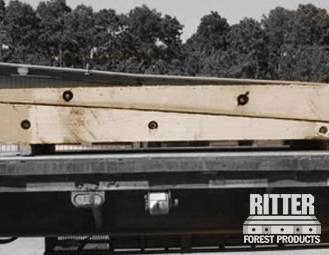 Ritter Forest Products can help with the process, as we specialize in manufacturing products like hardwood mats, outrigger pads, and pipeline skids. Pipeline skids can be used for cribbing, racking, and elevating pipes when installing a new pipeline. Ritter Forest Products also offers a variety of pipeline industry mats that are specifically designed to be used in tandem with the heavy equipment that is often brought in when pipelines are constructed. Whenever you are installing a pipeline, you should rely on crane mat rentals for pipeline companies. Ritter Forest Products can set you up with crane mats that will serve as the perfect foundation for heavy lifts and temporary roads mats. The wood mats that we have in stock are designed to reduce the ground bearing pressure and to prevent damage to hard surfaces. They can also protect underground services. 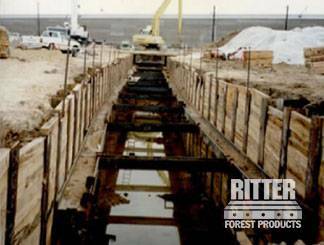 As the industry leader in hardwood oak timber pipeline skid sales, Ritter Forest Products knows a thing or two about building a pipeline successfully and can assist you as you do it. From the new construction of power plants and wind farms to the laying of transmission lines, hardwood timbers are an integral part of the power and utility industry’s operations. The heavy equipment required during construction and routine maintenance of nuclear and co-generation power plants requires a plan to minimize the impact load of cranes and other construction equipment. You should invest in ground mats for power plants and wind farms as part of your plan. 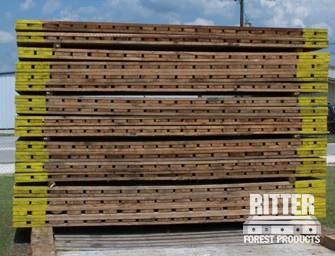 Outside of doing hardwood oak timber pipeline skid sales, Ritter Forest Products can also set companies up with new and used mats for sale for power plant and wind farm construction. Building these types of facilities often requires the use of many different kinds of heavy equipment. With ground mats for power plants and wind farms, you can navigate job sites safely and prevent damage to equipment. Ritter Forest Products has a range of products in stock that will make power plant and wind farm construction easier overall. 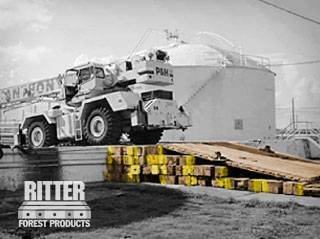 Whether you are in the market for hardwood crane and timber mats, pipeline skid sales or ground mats for power plants and wind farms, Ritter Forest Products has you covered. Call us today for more information.